I previously suggested to choose 5x the width of your hips for the width of your fabric. This is right ONLY when you are as slim as the girl in the picture, say size 4-6 or so. In concrete terms on the dimensions of the Bina wrap, if you are slim like her, you can buy 1.5 yards* (54”; 1.37m) of 60" (1.5m) wide fabric; and cut the front panels say 12" (30 cm) from each side of your fabric. (* I’m presuming you can buy either full or half yards). However, if you are much wider at the bottom than at the top, I’d say go with 2 x the width of your hips/chest (i.e. your widest body part) for the back panel and 1x the width of your widest body part for each side panel. One reader is pregnant. Well, for her 5x the width of her hips resulted into a giant creation. That wasn’t meant. What was meant is that you tailor the wrap size to your body size & shape. So, if you are petite, well, then perhaps you should make it an inch or two shorter. Leave the extra length on at first, but then don’t be shy to cut it till it is right for you. 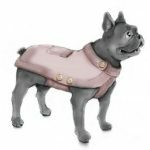 The length of the garment should be about the same as the width of the back panel. This is a test: Hold the cloth in front of you: it should reach from just under your arm pitch/top of the breasts till half way down your calves (see first image in this article to see what I mean). If that measures 39”(1 m) , than make the length of your garment 39” (1 m). If your length is 39” this means that your back panel should be also approx. 39” wide. It should be about a square. Right? If your chosen length for your garment is about 36-39”, then I’d go for an opening that is about 10”-12” wide. *** Try it out with some some rough hand stitches FIRST, so that you can see if it fits properly ON YOU. If you have wide shoulders, guess what, you may prefer a somewhat larger opening. The opening should be in the middle of the length of the garment, and be about 1/3 of the total length. 1. ** A lightweight, stretch fabric . 2. ** Within that context, Bina used a material that consists of Rayon – Jersey . Now the other day, someone asked me about using silk as the fabric for the entire wrap. She had brought the silk back from a wonderful trip to Asia, and was considering making this wrap with it. Sharing a passion for silk, I’d say “Sure, you could do this. 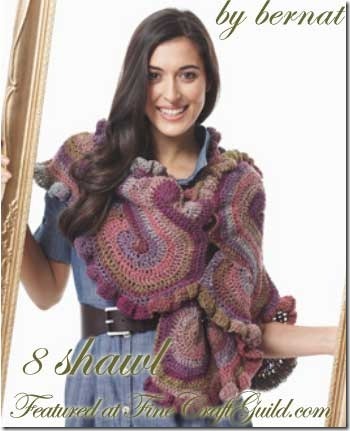 I have a feeling the wrap could be rather nice as a cardigan in certain flowy silks (but not in stiff silks.) But.., I’d probably still go for jersey for this wrap, and use my nice silk for something else.” Why?!! Realize that this pattern is for STRETCHY fabric that flows, and silk does not stretch. And because silk does not stretch, I am thinking that not all the ‘Bina wrap’-variations of wearing this garment will work. Silk also wrinkles. And if your silk must be dry-cleaned, it may also be bad for the environment to make it into a wrap that you’ll want to wear everyday, cause it means lots of dry cleaning…? Maybe. Particularly when using expensive silk, I would first HAND-SEW the wrap first in large stitches to ensure the wrap will look right, before getting my sewing machine out. There are a great variety of silks and some are certainly more stiff than others. You will want thin, flowy fabric for this. Certain kinds of fabrics (such as jersey) do not need any hemming, whereas others do. Do reinforce the arm slits, and hem them (as you can see in the illustration) using a zigzag or otherwise appropriate stitch for stretch fabric. I love the idea of adding a wide, smooth silk ribbon edge all around the fabric .. Consider this. It will have a bit of a kimono-effect in certain drapes and just add some elegance to other way of wearing this garment. I would hand-sew my drapy silk fabric in the way that silk scarves are usually hemmed, i.e by threading around the edges. Just look at an expensive scarf in your closet, and you’ll see what I mean. The snaps should be sewn on so that opposite corners. Then, you can wear this simple wrap as a back wrap, blouse, cardigan, front wrap, head scarf, poncho, scarf, shoulder scarf, shrug, stole, tunic or turtleneck…. as per Bina Brianca’s ideas. Plus, whatever else you can dream up. Use snaps that are the same color as your cardigan, so that you don’t see them. Use larger snaps rather than tiny ones as these will hold the fabric better in an easy drapey way, without pulling. The snaps should be on the outside of the fabric. Cut a length of fabric that is about 4-5 x time the width of your body. Divide it with some pins into 4 or 5 equal segments (see discussion about width above). At 1/4 in from each edge (LEF AND RIGHT), cut a slit of approx. 9-10” (22-25 cm). See the picture of the Bina Wrap held up in the air to clarify. Reinforce and hem the edges of the slits. Add snaps by hand on the corners of the fabric. I hope you enjoy these new clarifications to the pattern. As per always, email me with suggestions or comment below. Like this pattern? Share it on Pinterest, Facebook, Google + and wherever else you socialize online. 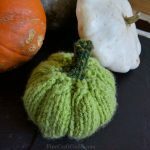 And sign up for my newsletter for your copy of the Bina Brianca how-to-use-this-wrap tutorial. 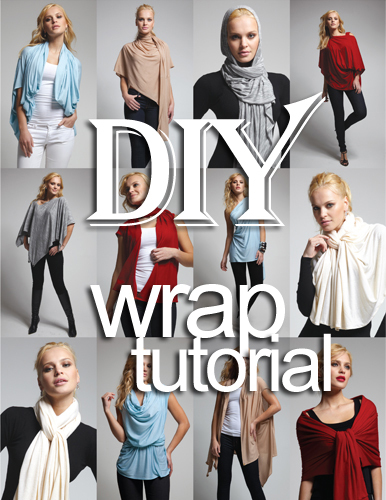 Copyright: this free wrap tutorial & pattern is copyrighted material. Do not copy onto your blog, in part on in whole without first checking in with me, okay? !